Jeep Certified. EPA 29 MPG Hwy/21 MPG City! 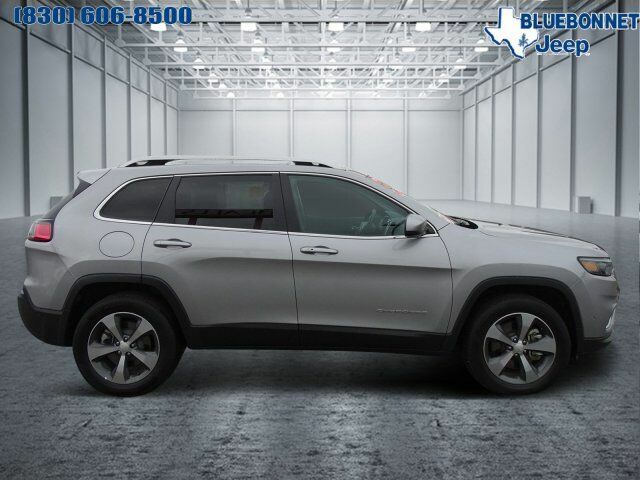 Moonroof, Heated Leather Seats, Nav System, iPod/MP3 Input, Back-Up Camera, Aluminum Wheels, 4x4, Turbo Charged Engine, TRANSMISSION: 9-SPEED 948TE AUTOMATIC... LUXURY GROUP READ MORE! Leather Seats, 4x4, Back-Up Camera, iPod/MP3 Input, Aluminum Wheels, Remote Engine Start, Dual Zone A/C, Smart Device Integration, Blind Spot Monitor, Heated Leather Seats. Rear Spoiler, MP3 Player, Keyless Entry, Privacy Glass, Steering Wheel Controls. POWER FRONT/FIXED REAR FULL SUNROOF, LUXURY GROUP Ventilated Front Seats, Tonneau Cover, Fore/Aft Adjusting 2nd Row Seat, Hands-Free Power Liftgate, Carpeted Cargo Area Trim Panels, TECHNOLOGY GROUP Lane Departure Warning Plus, Auto High Beam Headlamp Control, Rain Sensitive Windshield Wipers, Adaptive Cruise Control w/Stop & Go, Advanced Brake Assist, Full Speed Forward Collision Warning Plus, Side Distance Warning, Parallel/Perpendicular Park/Unpark Assist w/Stop, RADIO: UCONNECT 4C NAV W/8.4" DISPLAY SiriusXM Travel Link, 4G LTE Wi-Fi Hot Spot, 1-Year SiriusXM Guardian Trial, HD Radio, SiriusXM Traffic Plus, For Details Visit DriveUconnect.com, GPS Navigation, ENGINE: 2.0L I4 DOHC DI TURBO W/ESS 3.734 Axle Ratio, Base Insulation Group, 180 Amp Alternator, Active Noise Control System, Acoustic Windshield, TRANSMISSION: 9-SPEED 948TE AUTOMATIC (STD). Edmunds.com explains "The steering is nicely weighted, feels direct Great Gas Mileage: 29 MPG Hwy.